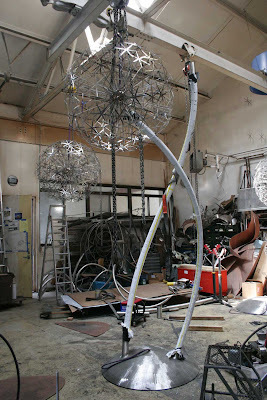 The second part of the two compositions of Alliums nears completion. 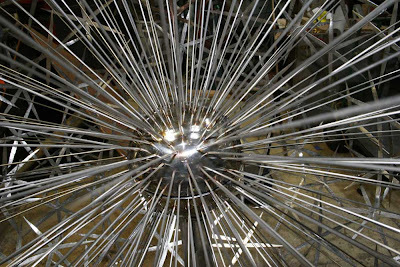 The giant Allium flower in a different light. 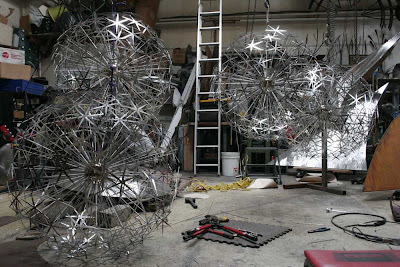 Colors of the surroundings are picked up in the shiny buds. 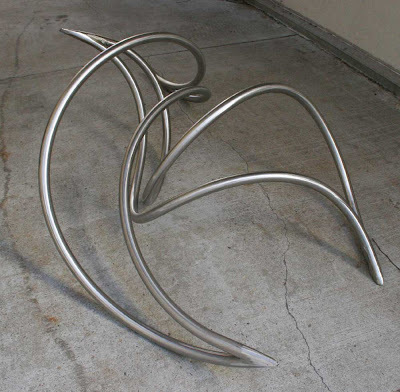 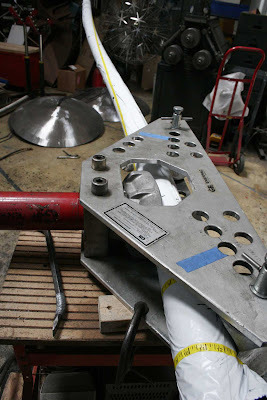 A look at the finished stainless steel leaf shapes for the bases of the two sculptures. 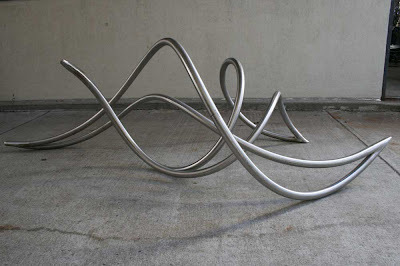 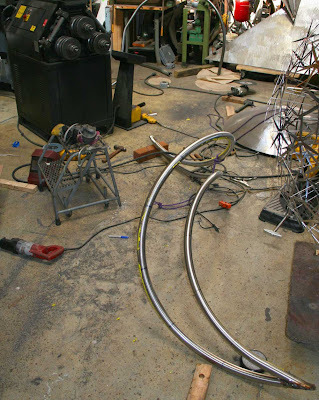 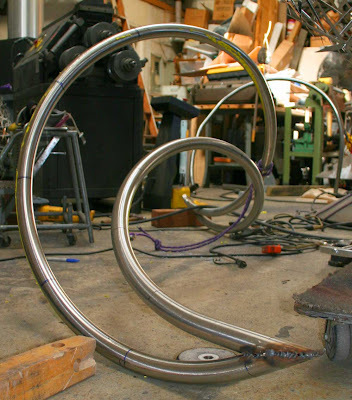 At the base of the two large Allium sculptures will be an abstract leaf form which spirals over to the smaller allium composition. 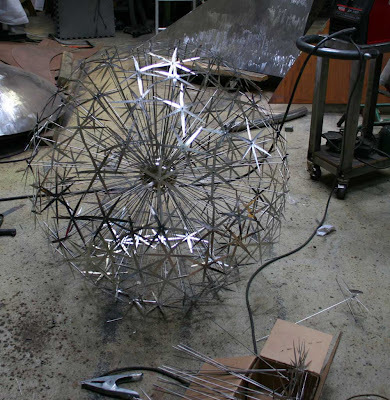 Just under 6 feet in diameter, the largest of the Allium spheres takes shape. 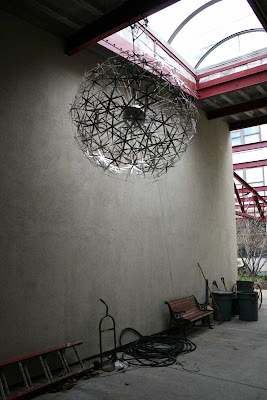 I have suspended it about 12-feet high in the breezeway to observe the subtle wind generated motion of the star shapes, and to get a sense of the large scale of the composition. 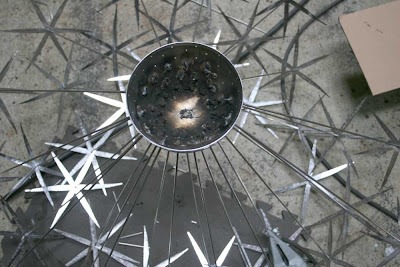 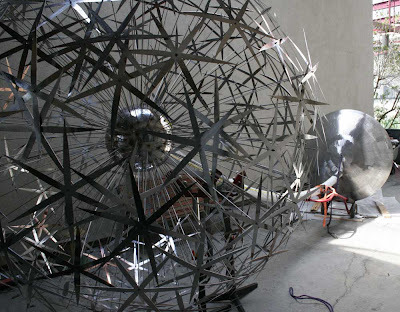 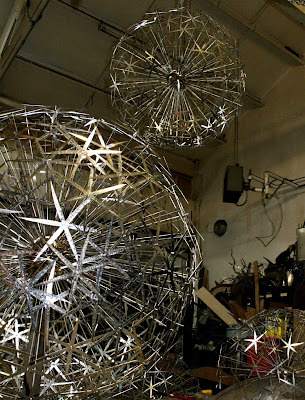 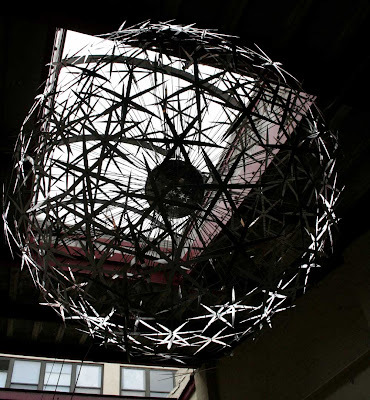 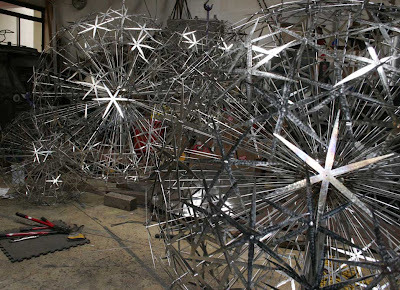 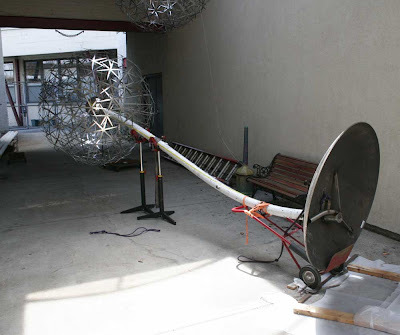 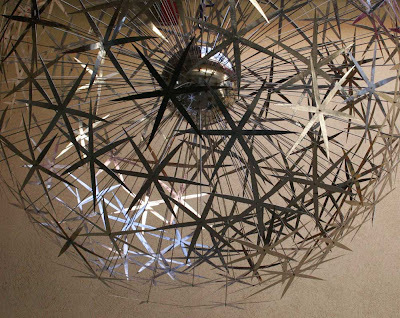 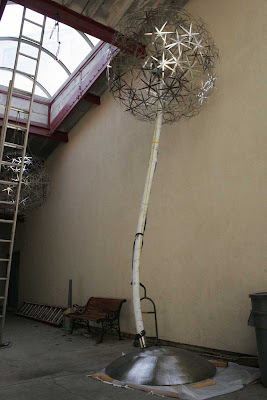 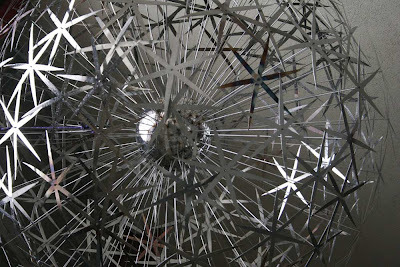 About 200 welded rods create the flower sphere.